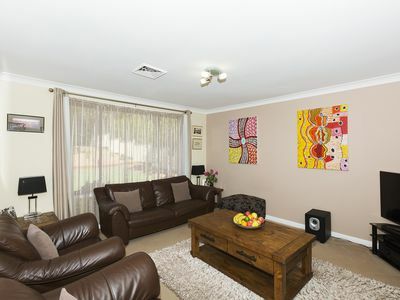 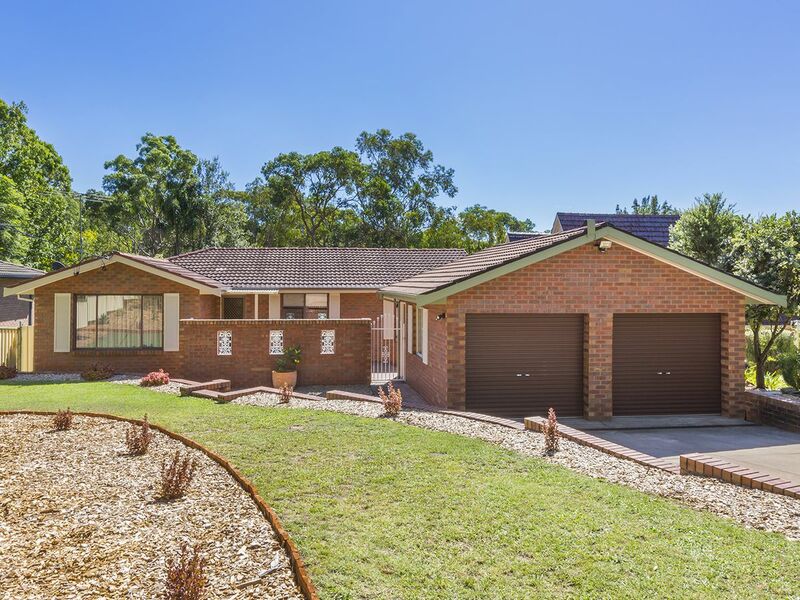 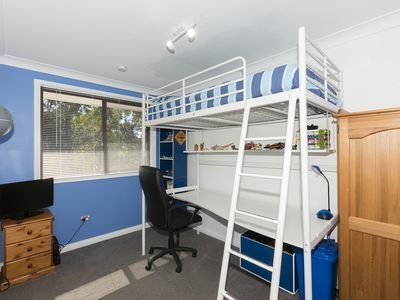 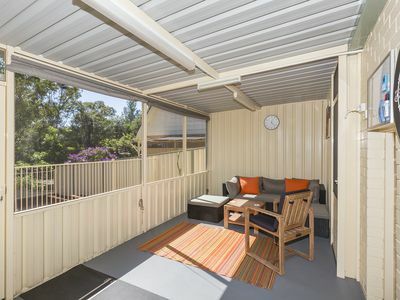 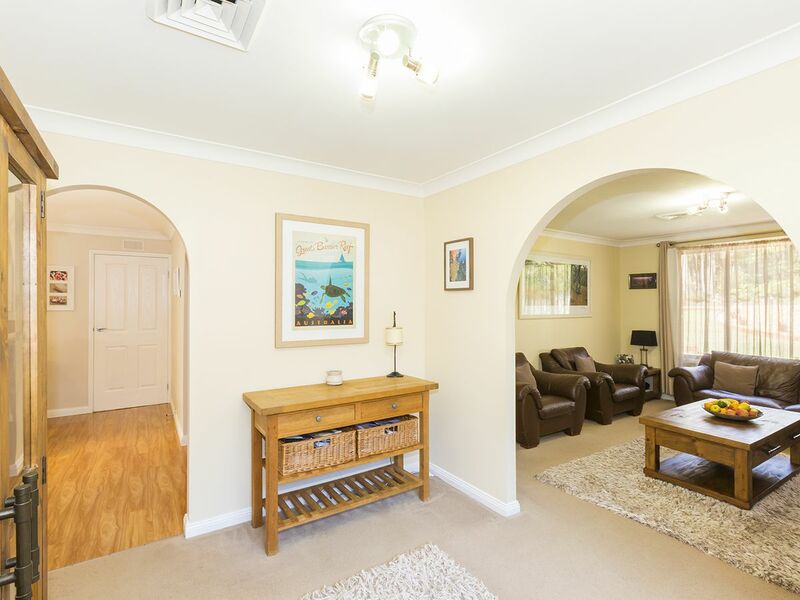 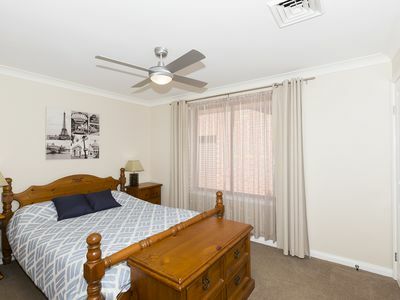 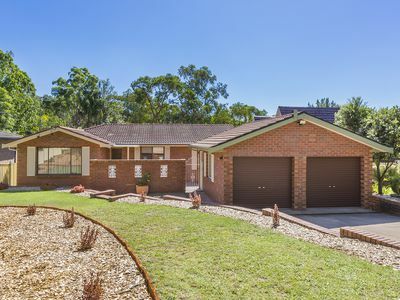 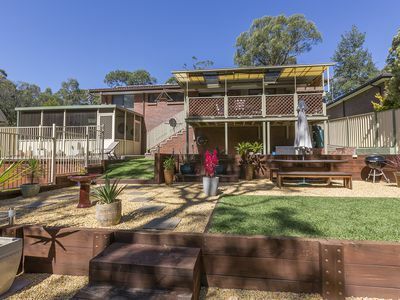 Superbly positioned on a service road behind a bush strip providing peace and privacy from the road, within walking distance to Winmalee High School and the bus stop, and just a 2-minute drive to Winmalee Public School and Winmalee Shopping Centre, this property has been tastefully updated inside and out. The property features four bedrooms; two with built-in wardrobes including the master bedroom, with the fourth bedroom detached from the home making it ideal for older children or guests. 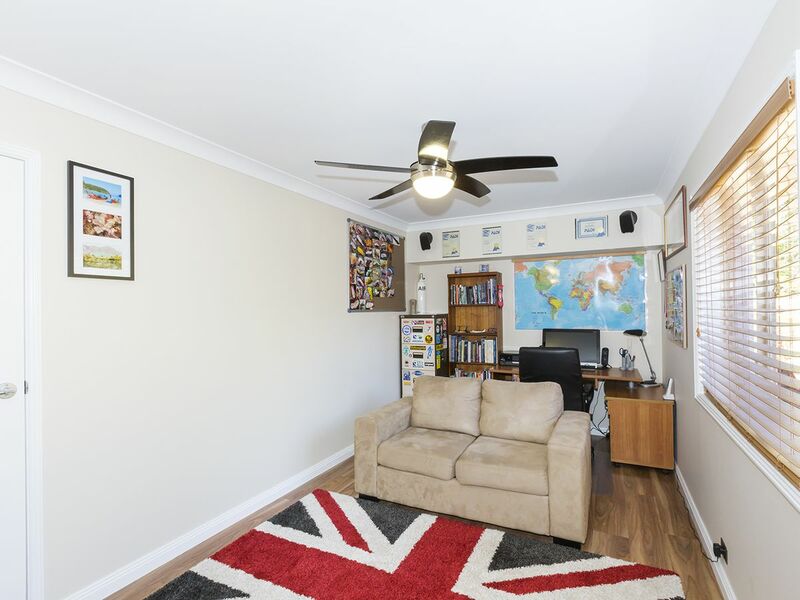 This is a very versatile space which could also be used as an additional living area or home office, with easy conversion back to a double garage if desired. 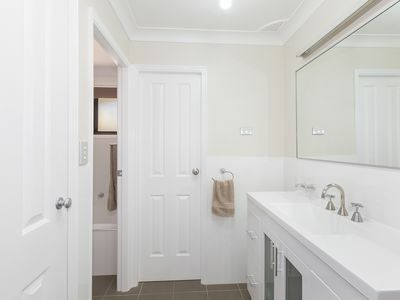 The modern three-way family bathroom provides the convenience of separate amenities. The light-filled lounge is a good size, and leads into the formal dining area. 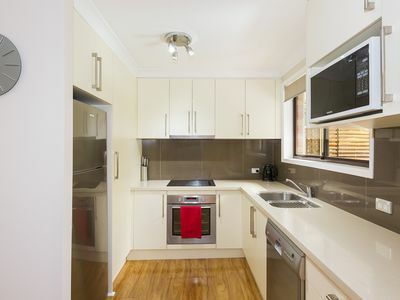 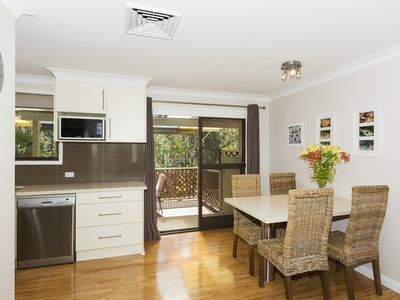 The contemporary kitchen features stone benchtops, soft-close drawers, stainless steel appliances including a dishwasher, and a meals area which flows out to the covered rear deck with access to a second toilet. 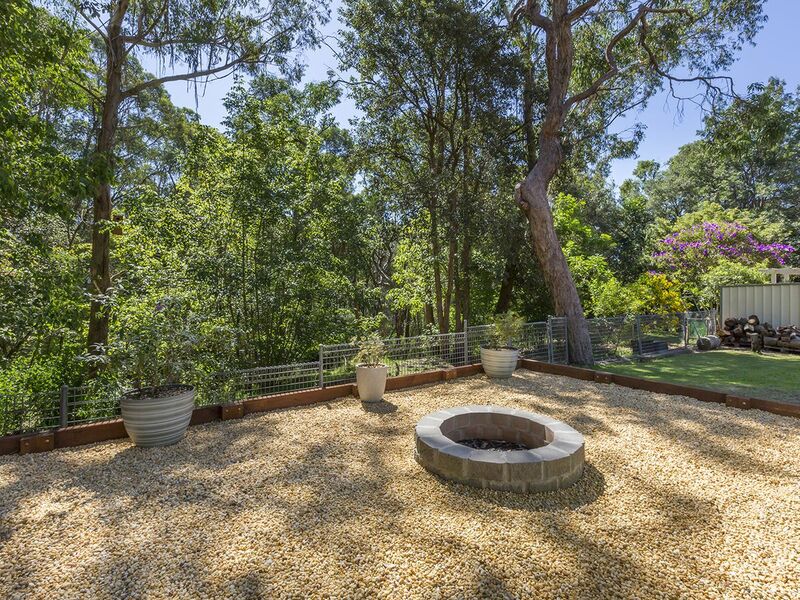 This overlooks the pristine backyard and beautiful bush backdrop. A spacious enclosed outdoor entertaining area provides additional living space that can be used year round, and can be accessed directly from both the front and rear. 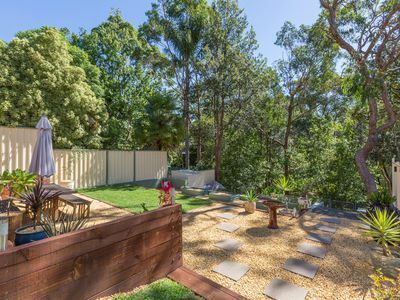 Both the front and rear yards have been fully landscaped, providing street appeal to the front and creating a low maintenance yet tranquil space to the rear. 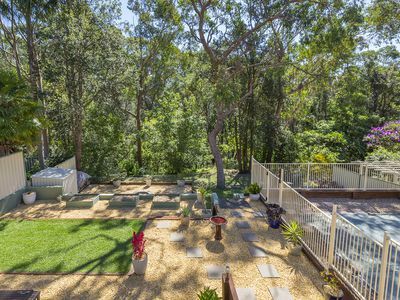 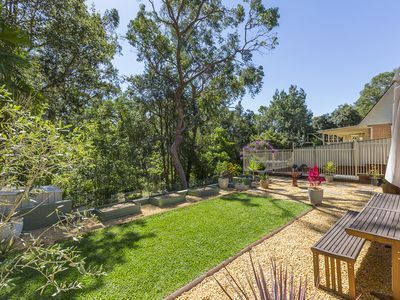 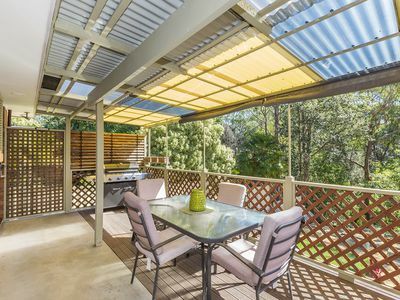 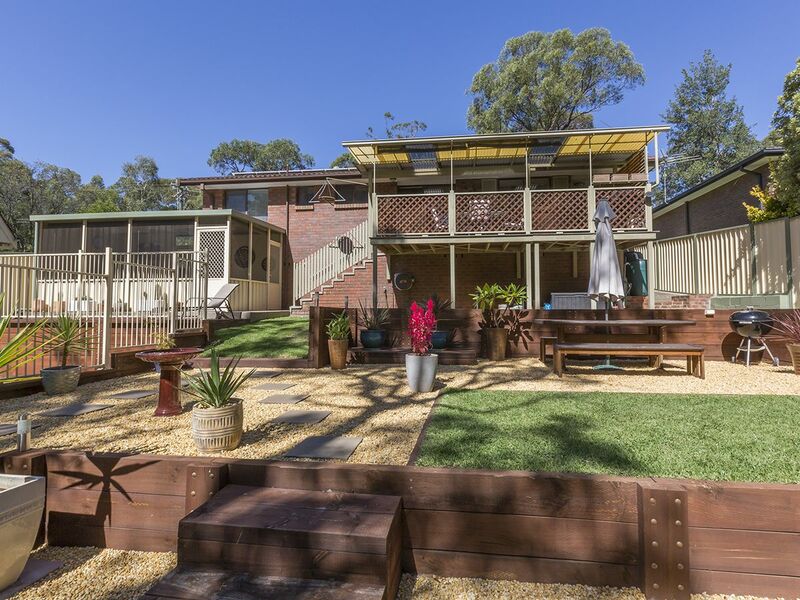 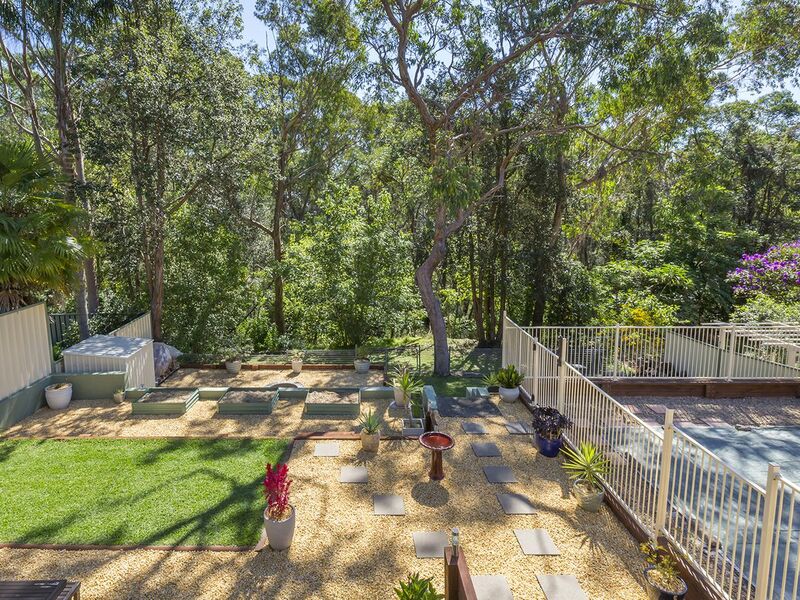 The backyard is fully fenced with side access, with several tiers including level lawned areas, stone gardens, a BBQ area, raised vegetable gardens, and a fenced pool area with an Intex pool, all backing on to verdant bushland. 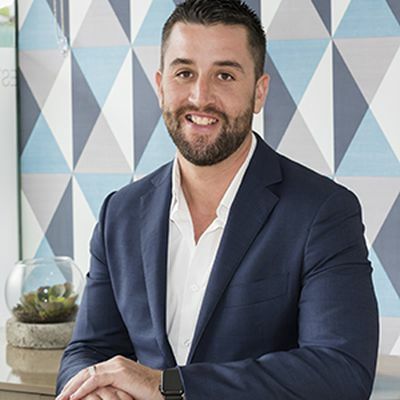 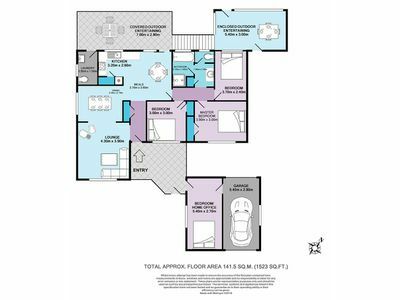 Additional features to note include: polished hardwood floors; ducted air conditioning; solar panels; single lock-up garage plus additional off street parking; under house storage accessible from enclosed outdoor entertaining area. Please contact Lister & Cole Estate Agents for further details on this tastefully updated home in a quiet yet convenient location.